This fifth volume of Jungle Room recordings from Venus Production does not stand back from the other four volumes. Even though it only features three songs, and a lot of the material is already available officially, this new CD brings enough "new" material to be highly interesting! It starts out with take 1 and 2 of 'I'll Never Fall In Love Again'. Take 1 is a false start, while the second attempt is complete. Here Elvis tries a different - higher - key and phrase the song a little more like Tom Jones. It is not a success, but a nice inclusion to our archives. Already at take 3 (also previously unreleased) Elvis has decided to tackle the song in the key we are quite familiar with. Take 3 is a good attempt, but it was too early to stop and several takes followed. All the five first takes are here. At this point Elvis decided to take a break from the song and continue with 'Moody Blue'. When Elvis continued with 'I'll Never Fall In Love Again' after Moody Blue, several new takes were attempted. Only the master version (take 9) from this (post)session is on the Venus CD. On the paper Venus does not include anything new as far as 'For The Heart' goes. All listed takes (1 to 5, plus master) have been officially released. But, wait! Take 5 on this CD is not the same version as on Made In Memphis by FTD. It actually contains two false starts (later found to be take 6, ref Elvis Presley Boulevard (FTD) and then a complete new take of the song. The announcer shouts "this is five" on both CD's...I find it likely that the version found on the Venus CD is recorded after take 5 on Made In Memphis. It is just a hunch, however. This new take is quite similar to both take 4 and 5 that has been out before, although it breaks apart at the very end. 'Hurt' is - as the title of the CD might suggest - well covered on this CD. Take 1 is a long false start, where Elvis' voice cracks. Otherwise there is hardly any difference from other known takes of the song. 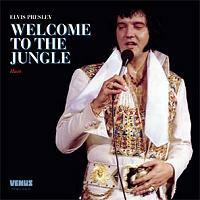 Even take 4 is new to most Elvis fans; again we are talking about a long false start, where Elvis' voice troubles him. Take 6 marks the last unreleased take on this CD. It is only a short false start and some studio banter thereafter. It adds to the fly on the wall feeling. Take 7 is the master and this take is presented in several different versions. The undubbed master comes from an acetate source in mono. The re-mixed version is not the same as on "Always On My Mind" from 1985, and I'm a bit uncertain where it stems from. The so-called x-rated version of 'Hurt' has been added to the end. It comes from the same source as previously released, though a little sharper in sound quality. This CD is recommended, just like all other CD's in this series. It is somewhat surrealistic that bootleggers have studio recordings in such great sound quality, not even officially released! Venus Production has now released previously unavailable takes from several studio sessions during the 70s. What is in the pipeline? The 16-page booklet contains concert photos from 1976 and liner notes.